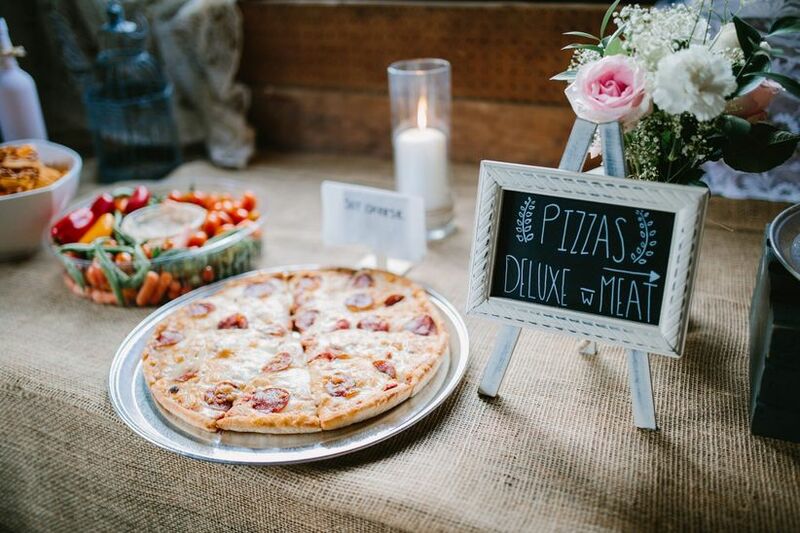 5 Ways to Serve Pizza at Your Wedding | Wedding Ideas ARE YOU A VENDOR? 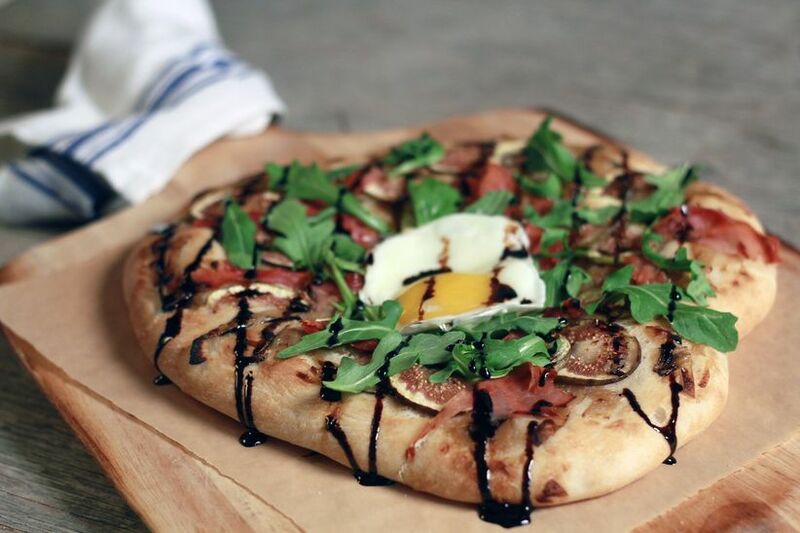 Adding pizza to your menu is surefire way to make your guests love you. 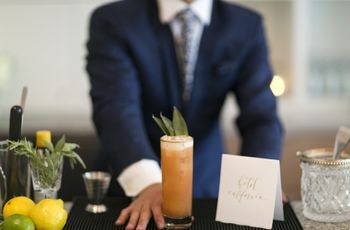 Here’s how to serve it at every part of your wedding. Everybody loves pizza - and I mean everybody. 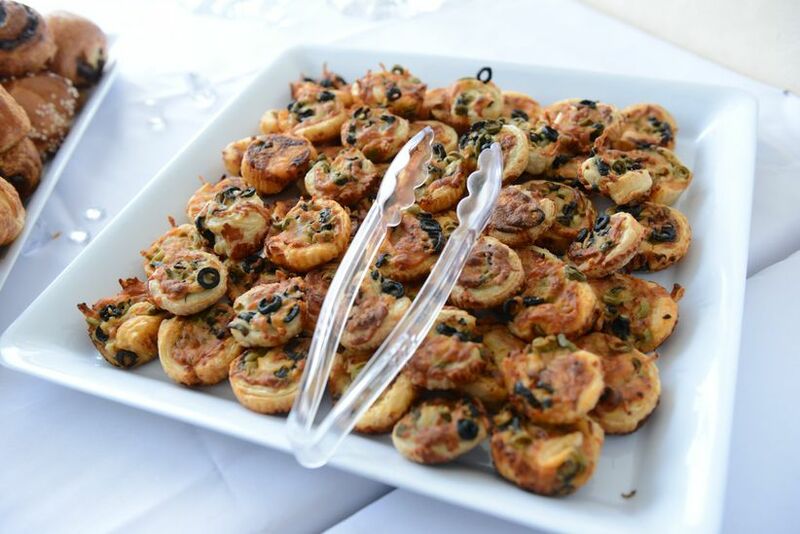 This versatile snack can be transformed into an appetizer, a main, a dessert and even breakfast, so we highly suggest putting it to use on your big day. 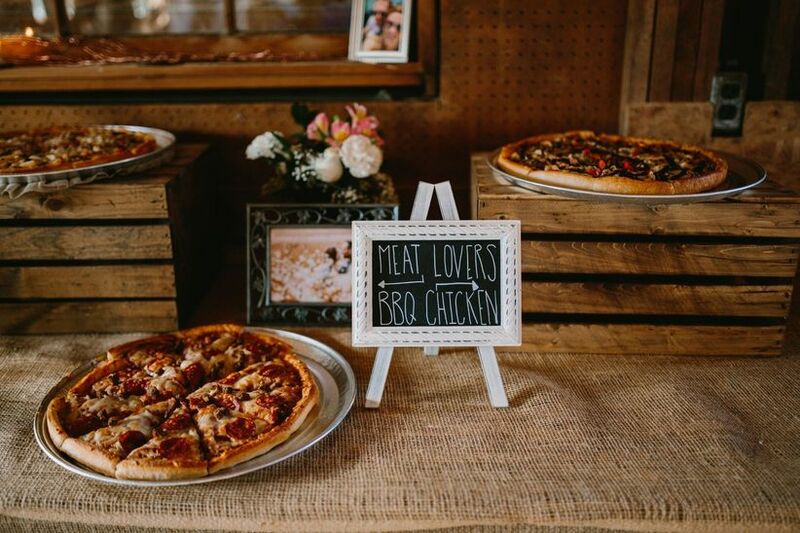 From pies topped with eggs and bacon to pint-sized pizza rolls, these are a few of our favourite pizza dishes to add to your wedding menu (and when to serve them at your wedding). 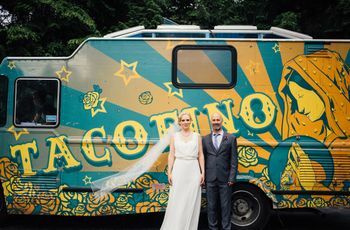 Here are a few ways to serve pizza at your wedding. Kick things off with an indulgent little snack like pizza rolls or flatbreads topped with tomato sauce, cheese and veggies. These may not be the fanciest hors d’oeuvres, but sometimes you’ve gotta choose taste over trendiness. Yes, mains like steak tartare and seared salmon are delicious, but you know what everyone loves? Pizza. Create a food station filled with different types of pies so that your guests can pick and choose their slices. 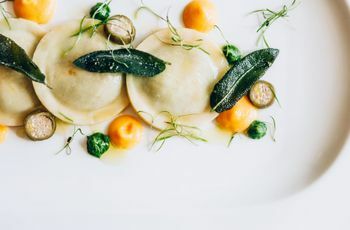 Remember to have a few vegan and/or vegetarian options on hand if you have guests with dietary restrictions! Ditch the multi-tiered cake and go with ‘za instead. Of course, you could opt for traditional marinara coated pies, but why not serve something a bit sweeter? Top a sweet, doughy crust with nutella, fruit, whipped cream and your favourite sweet treats, and, ta-da! 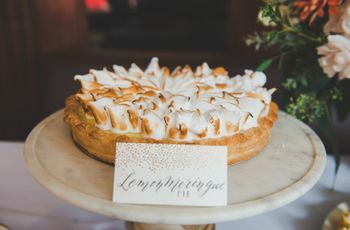 You’ve got a truly unique wedding dessert. Don’t want to ditch the classic confection? You can always have your cake and eat pizza, too. 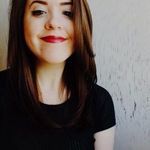 Pizza is one of the few foods available in the wee hours of the morning, so, pretty much anyone who’s ever had a late night out has experienced the joys of a slice at 2 a.m.. Bless your guests with that same gift by serving up a few ‘zas before your reception draws to a close.Want to go the extra mile? Have doggy bags on hand so that your guests can bring some back to their hotel rooms. After an evening of heavy partying is there anything better than a pile of carbs? Answer: no. 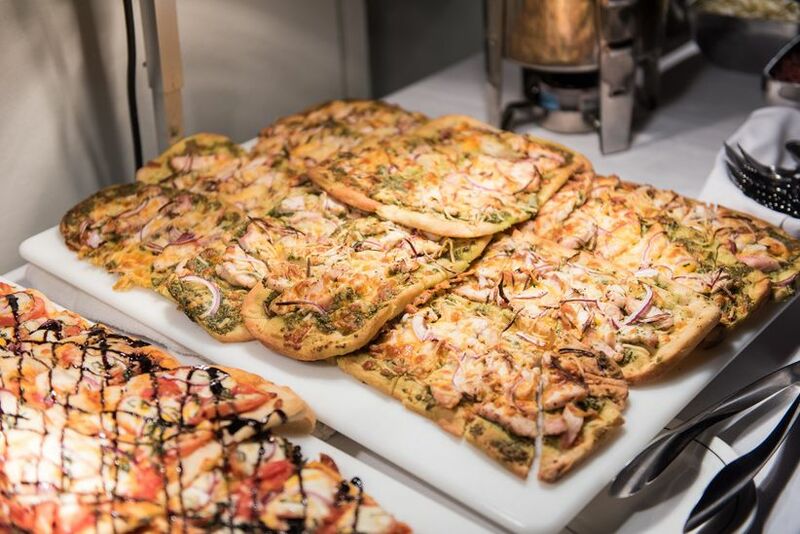 Ask your caterer to whip up a few breakfast pizzas to help your guests cure any alcohol-induced aches or pains. Top ‘em with breakfast staples like eggs, hollandaise, bacon and hash browns instead of the classic combo of cheese and tomato sauce. This is a super Instagram-friendly option, so your guests will definitely be snapping some pics for their feeds. Bonus: if you prefer sweet to savoury breakfast fare, you can make another version with a granola crust, yogurt and berries.